Caving to outside pressure, this week the organization added women to the High-level Independent Panel on UN Peace Operations—but it still falls short of gender parity. In an act of contrition almost never seen at the United Nations, in early November Secretary-General Ban Ki-moon acknowledged that the organization had made a mistake in naming a gender-lopsided panel to review its peacekeeping operations. The fourteen-member High-level Independent Panel on UN Peace Operations originally included only three women. The announcement sparked outrage among advocates for women, made worse by the fact that the panel’s members were announced on the fourteenth anniversary of the first Security Council resolution demanding gender parity in all aspects of peace operations. Caving to outside pressure, on Monday Ki-moon tried again, announcing a reformed panel with better balance, but still well short of gender parity: the reconstituted panel now has three additional women, doubling the total to six, along with eleven men. A woman, Ameerah Haq of Bangladesh, who has been the UN’s under secretary-general for peacekeeping field support, was elevated to vice chair. For those who follow the workings of the UN closely, there is hope that this marks a change—however insufficient in critics’ eyes—in the organization’s persistent practice of making important appointments behind the scenes with governments pushing their candidates. Critics will be watching to see if public pressure will be similarly successful in making the selection of the next secretary-general transparent rather than the result of the usual horse-trading that goes on in secret among governments. That battle of nations and regions won’t take place until later next year or early 2016, but more voices are being heard internationally calling for a genuine contest that is more open to public view this time. The new peacekeeping-review panel will be chaired by José Ramos-Horta, a former Timorese diplomat and president who is also co-winner of the 1996 Nobel Prize for peace. Ramos-Horta, a surprise choice to many, has minimal experience with UN peacekeeping. His vice chair, Haq, has nearly four decades of work in peacekeeping missions in Laos, Sudan, Afghanistan and Timor Leste. Other women on the panel are also veterans of work in conflict, human rights, violence against women and other relevant fields, refuting the hollow complaint that women can’t be found for high-level jobs in what many still consider a male domain like peacekeeping. Apart from Haq, the women now on the panel include Marie-Louise Baricako of Burundi, executive director of Femmes Africa Solidarité; Radhika Coomaraswamy, a leading human-rights lawyer from Sri Lanka and UN specialist on children in conflict and violence against women; Hilde F. Johnson of Norway, who negotiated peace in South Sudan; Joy Abena Nyarko Mensa-Bonsu, a Ghanaian law professor who worked for the UN on the rule of law in Liberia; and Rima Salah, a career Unicef official from Jordan. 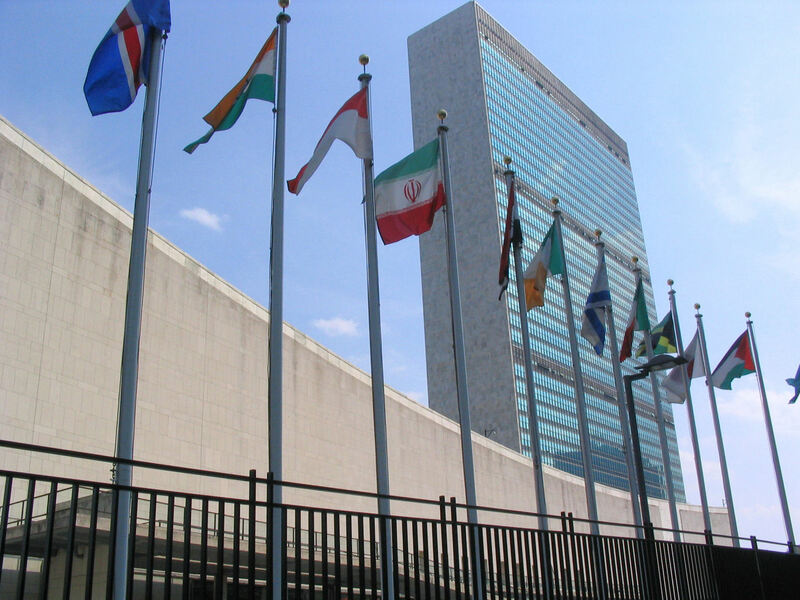 Nongovernmental organizations as well as some UN officials have asked how Secretary-General Ban could have put himself in this inexplicably bad position after his many pronouncements on the importance of raising the status of women worldwide. The head of UN peacekeeping, Under Secretary-General Hervé Ladsous of France, whose advice was sought in the composition of the panel, strongly recommended a woman as chair and a far larger proportion of women as panel experts. Anwarul Chowdhury, a diplomat and later UN official from Bangladesh who was the leading proponent in 2000 of Security Council Resolution 1325—the first resolution on equality for women in peacekeeping and post-conflict—is not very impressed with the revised panel. It is significant that the anger that greeted the latest attempt to sideline women forced Ban to rethink his too-easy acceptance of a lopsided panel, which was apparently chosen largely by Ramos-Horta. Among the leaders of a relentless campaign to have the panel reconstituted were Stephen Lewis, a former Canadian ambassador to the UN and deputy executive director of Unicef, and Paula Donovan, an Africa specialist and co-director with Lewis of AIDS-Free World, an organization which has become a strong advocate for women. In several sharp letters to Ban and video commentaries, Lewis and Donovan excoriated the secretary-general. They still aren’t satisfied.